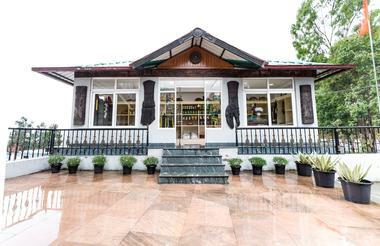 On arrival at Dimapur Airport you will be met by your chauffeur guide for transfer to Kohima. Check in to your hotel for a 3 night stay. 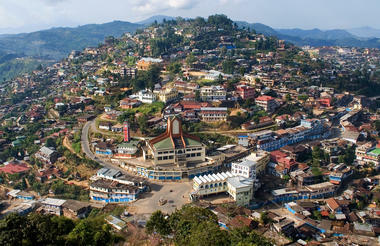 Kohima, is situated at an altitude of 1444 m above sea level, and occupies pride of place as the capital city of Nagaland. Kohima has the advantage of being centrally located - being bounded by the State of Assam on the west, Wokha district on the north, Zunheboto and Phek districts on the east and the State of Manipur on the south. 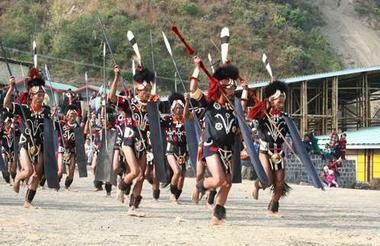 The Angami, Rengma and Zeliangrong communities mainly inhabit Kohima District. After breakfast drive to the Kisama Heritage Complex, for the full day, to observe the different tribal performances and to soak in the atmosphere of the colourful and vibrant Hornbill Festival. During the morning enjoy cultural dances and war dances from 16 major tribes, folk songs, indigenous games, music, fashion, handicrafts, local cuisines and local drinks (Zutho, Thutshe). In the afternoon, you have the option to explore the villages of the Angami tribe, Jakhama and Kigwema. In the evening, enjoy the Night Bazaar. The Jakhama and Kigwema villages are predominantly inhabited by the Angami tribes and their several clans. These mountain villages are situated around 20km south of Kohima and offer astonishing views of the surrounding landscape, encircled by terraced paddy fields. Each village has a traditional entrance gate. 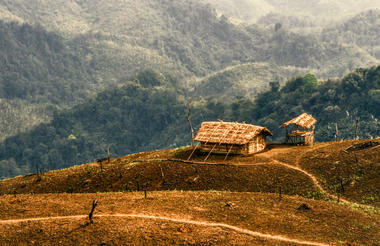 Within the villages one can see the traditional Angami houses. 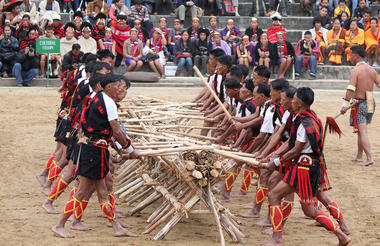 Here one can explore the villages and interact with the local tribes and local life style. Following breakfast enjoy the Hornbill Festival. In the afternoon, you have the option to explore the Angami tribe village of Khonoma. In the evening, enjoy the Night Bazaar. 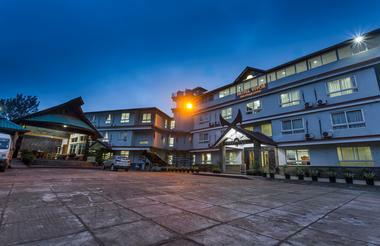 Khonoma Village is located 20km west of Kohima. The village is referred to as “Khwünoria” by the residents and is estimated to be around 700 years old, and is surrounded by hills that are as high as 9000 ft. It was here that the Naga warriors made their last stand against the British in 1879. The Village is named after a plant locally known as “Khüno” that grows in the area. The alder tree (Alnus Nepalensis) is found in abundance in this region and Khonoma is famous for its management of jhum fields with alder trees, which fixes nitrogen in the soil and checks soil erosion. 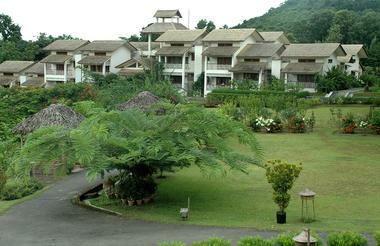 With its mission “Green Khonoma”, it has become a model village for eco-tourism. The Village Council has made it mandatory for every household to have dustbins. Once in a month, a sanitation drive is carried out and the community’s garbage is burnt. The ashes and the residue are then used as manure. The combination of rich bio-diversity and stunning landscape makes the Khonoma habitat an excellent candidate for eco-tourism. After breakfast return to visit the Kisama Heritage Complex to witness another morning of the Festival. 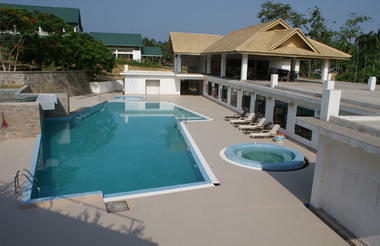 In the afternoon transfer to Kaziranga and check in to your hotel for a 2 night stay. 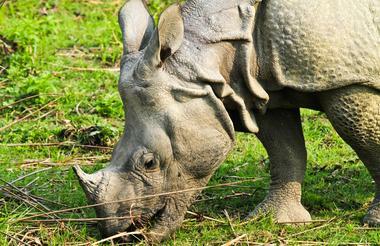 The Kaziranga National Park is a World Heritage Site, where more than 75% of the world’s total population of the Great Indian One Horned rhinoceros can be found. 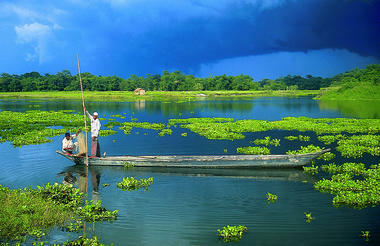 It lies on the southern bank of the Brahmaputra River and is one of the oldest parks in Assam. Other animals residing in the park include: over 1200 Asiatic water buffalo, over 1000 elephants, 81 tigers, swamp deer, barking deer and hog deer. About 400 species of birds are found in Kaziranga National Park including, waterfowl, hornbills, ospreys, eagles, storks, vultures and pelicans can be seen. Spend the full day exploring the beautiful forests and grasslands of the National Park with the option of an early morning Elephant Back Safari followed by a Jeep Safari. In the afternoon enjoy another Jeep Safari. Tickets are issued on the previous evening and are subject to availability. 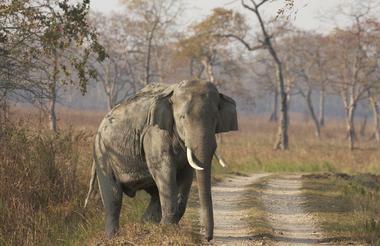 This early morning safari by elephant is the best way to explore the wide variety of wildlife in Kaziranga National Park. The park is covered by elephant grass which is very high and so the view offered from your perch atop an elephant is perfect! During the course of the safari, traversing through swamps and tall grass, you may see herds of Indian elephants and one-horned rhinos at a very close proximity, making for a memorable and thrilling experience. The elephant safari takes place in the central range of the park and is also great for early morning photography of rhinos in the mist. Morning: Entry time between 07.30 to 1000am hours. Afternoon: Entry time between 13.30 to 15.00 hours. The Central Range passes through the entire habitat spectrum from ox-bow lakes, savannah woodland to swamp forests. It is very good for mammal sightings as well as for birds. While driving along the trail, you may see rows of turtles and water monitors are sometimes spotted. The Eastern Range abounds in water birds such as bar-headed geese and spot-billed pelicans. 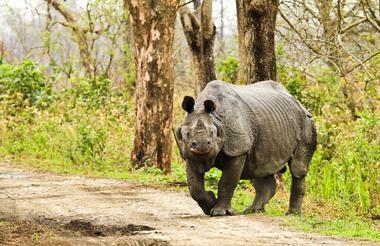 The Western Range has the highest density of rhinos as this part of the park is swampier. It has grassland birds and raptors. Smooth Indian Otters can sometimes be seen fishing in it’s ox-bow lakes. After breakfast drive to Neematighat for a ferry boat crossing (approx 1hr downstream boat cruise - the time taken depends upon the water level of the river) to Majuli - the largest inhabited river island in the world. Majuli is famous for the Vaishnavite Satras or monasteries (Kamalabari Satra, Auniati Satra, Benganti satra, and many more) and its rich culture. It is nestled between the confluence of the Subansiri and the Brahmaputra River. 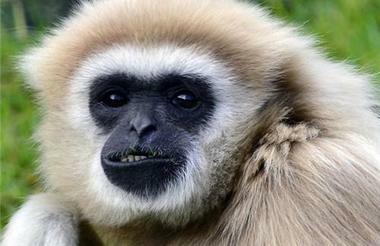 Visit the monasteries and interact with the tribes on the island. 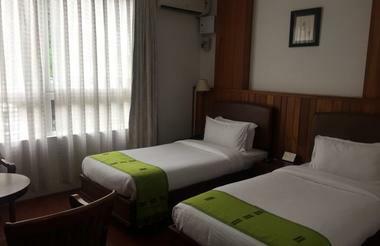 Later in the afternoon, ferry back across to the mainland (1 ½ hrs) and check in at the hotel in Jorhat for one night. Majuli Island: A World Heritage Site, is located in the Brahmaputra River and is the largest inhabited riverine island in the world. The island has long served as a monastic retreat to the Vaishnavite community and is noted for its beautiful rural setting and the traditional Assamese and Mishing tribal architecture. On arrival, drive to a monastery, en-route pass through both Assamese and Mishing Villages - the Mishing houses are typified by being built on stilts and their ‘long house’ style of design. At the monastery we receive a tour by one of the monks of the monastic cell and temple. (Please note that you will be expected to remove your shoes when entering the Vaishnavite monasteries). These Satras/monasteries were set up by Srimanta Shankardev, the leader of the Vaishnavite revival in the 16th Century. These are active cultural hubs and nurture the traditional dance form ‘Satriya’ (which is the 5th nationally recognized dance form other than Bharatnatyam, Kathak, Kathakali and Manipuri), music and crafts (mask- making), besides religious teachings. The Mishings: The Mishings belong to a Tibeto-Burman clan who possibly migrated from the hills of present day Arunachal Pradesh. Somewhere around the 13th century, they started migrating towards the plains of Assam, most probably in search of fertile land. This exodus continued for at least 2-3 centuries. As fate would have it, they found one of the most fertile river-beds (that of the mighty Brahmaputra) and settled on both banks along the length of the river. They continued their practice of living in thatched houses raised on bamboo stilts, known as Chang ghar. It was a protection against flood waters during the rainy season, although the original logic behind raised houses was protection from wild beasts. After breakfast drive to Dibrugarh. Enroute visit the Ahom monuments and temples at Sivasagar which encompass the 600 year old history of the Ahom Dynasty. 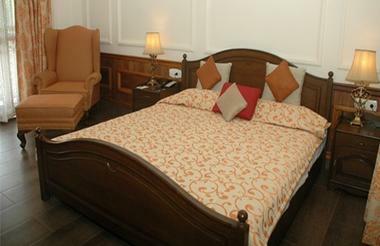 On arrival check in at your hotel for a 2 night stay. In the evening enjoy a dance performance by an ethnic dance group at the Mancotta Heritage Chang Bungalow. Sivasagar was once the capital of the Ahom Kings. The Shans who came from Thailand through Northern Myanmar to this area in early 13th century, ruled for 600 years. The Siva Temple, built by the Ahoms, situated here is believed to be the tallest of all existing Hindu temples. The ruins of the Ahom palaces and monuments dot the landscape around this historical town. Centuries, before the arrival of the British, this part of the world was controlled by a number of tribal chieftains. In the town of Sivasagar, one can still see the remaining well preserved relics. The largest and the oldest amphitheatre of Asia (Rang Ghar) is also another remarkable landmark in the history of Sivasagar. The Tai- Ahom Museum of Sivasagar contains some of the relics of the Ahom period like – swords, clothes, manuscripts and sundry artifacts. Bihu is the most popular folk dance of Assam. The people of Assam are very proud of its unique position among all other such dances of India. Perhaps except Bhangra (the popular folk dance of Punjab), no other folk dance in India can compete with the rhythmic exuberance of the Bihu dance. ‘Bihu’ performed by young men and women reflects youthful passion and joy rejuvenating life during the spring season, accompanied by songs woven around the theme of love and physical yearning. The dance is performed by all- irrespective of caste, creed and religion. 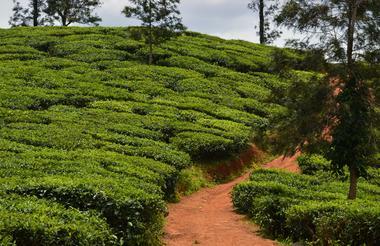 After breakfast, take a tea tour around a tea estate known for producing high quality CTC tea - Ethelwold Tea Estate. Also experience a tea tasting session of different types of tea with a knowledgeable person in the field of tea / practicing estate manager, followed by visit to Mukul TE which specializes in organic green tea. Later drive to Tinsukia (01 ½ hrs). In the afternoon, witness the Tea Festival, a celebration of and by the people of the tea tribal communities of Upper Assam. Enjoy the vibrancy of colour, traditional dance and art forms, folk music and a variety ethnic food and handicrafts. 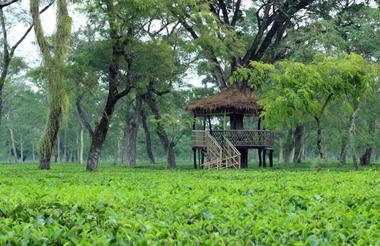 Experience the exuberance of festivity with the people of the tea gardens of Assam. Drive back to Dibrugarh. A Tea Tour through a 160 years old heritage tea garden will give you an insight into the different activities that vary from season to season. 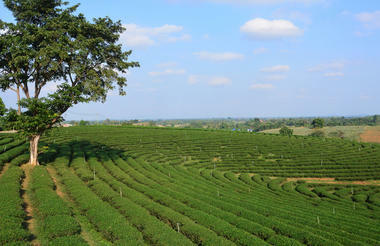 It will teach you all about tea- its origin, how it is grown, tea tasting and its quality. The estates come alive with teams of colourfully dressed tea pluckers, predominantly ladies, who pluck the delicate buds and leaves. The harvest is taken every day to the factory where it undergoes an age old process of being turned into the finished product. All stages of the process are carefully controlled to ensure that the product which leaves the factory is only of the highest quality, a quality that has made Assam tea world famous. CTC (Crush, Tear and Curl) tea is a method of processing tea. In this process the leaves instead of being rolled, are passed through a series of cylindrical rollers with hundreds of small sharp "teeth" that Crush, Tear, and Curl.This style of manufacture has the advantage that the finished product brews quickly, gives a dark infusion rapidly, is well suited for tea bags, and yields more cups per kg. In the Indian domestic market, this product has virtually taken over - over 80% of the tea produced is of the CTC type. 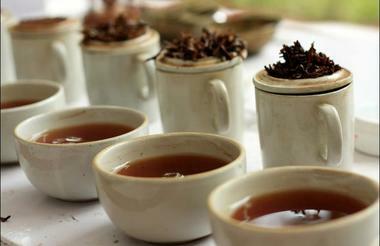 It produces a rich red-brown color when the tea leaves are boiled and so is best suited for tea made in the Indian style. This is done by boiling leaves in a mixture of milk, water and sugar and some spices (producing Masala Chai). 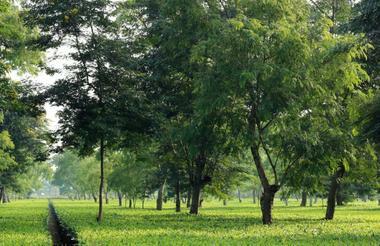 Note: Visit to tea factories is subject to being operational on the day of the visit. There is no tea plucking between December and mid-March and hence the actual manufacturing processing of tea cannot be demonstrated when one visits the factory during this period. Factory also remains closed on Monday’s of the week. 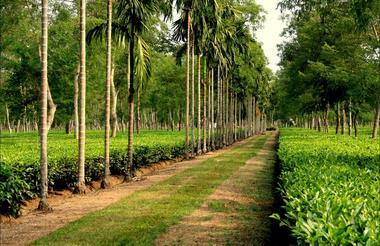 Mukul Tea Estate has an area of 27hectares and is about 8 Kms (approx 30mins) away from Mancotta Heritage Chang Bungalow. The entire garden which is organic, is located within pristine surroundings. 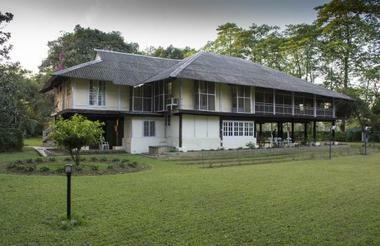 The estate, has within its boundary, a tea plantation, a rich bamboo stand and a wet land which attracts numerous bird species. Visitors can enjoy a firsthand experience of plucking tea by hand and preparing roasted green tea themselves. “The Tea Festival” is organized by the tribal communities of the tea estates and is their endeavour to showcase the diversity and the richness of culture that exists among them. 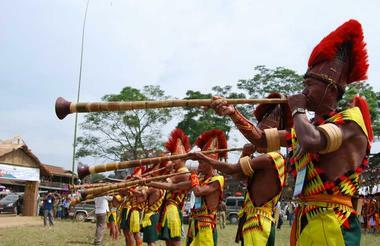 It is a rather colourful celebration of tradition, art and culture, and is a unique festival that offers an opportunity to witness the multiplicity of dance forms, musical performances, instrumental collaborations, and handicraft displays, found among the tribal communities of the tea growing areas of Upper Assam.